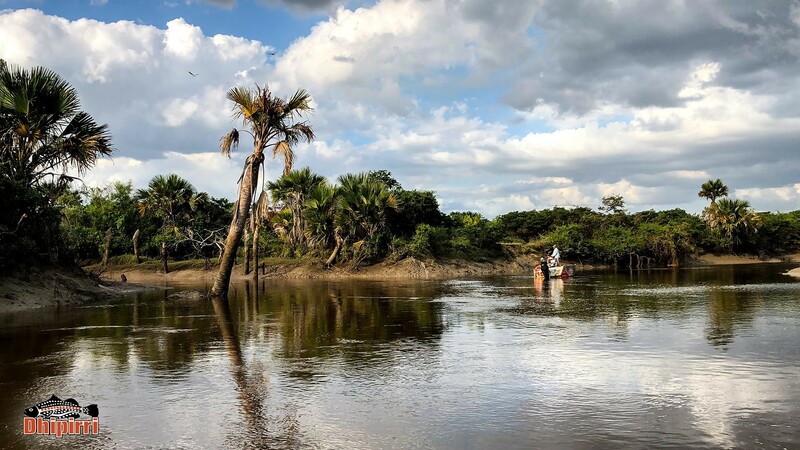 Dhipirri Barra Lodge is situated on the main land between two major rivers: The Glyde and Woolen Rivers. Approval from the local traditional owners has been granted, allowing access to these two major rivers plus coastal reefs. Dhipirri Barra and Sportfishing are the only guided fishing charter company that has exclusive rights to operate in this particular area. 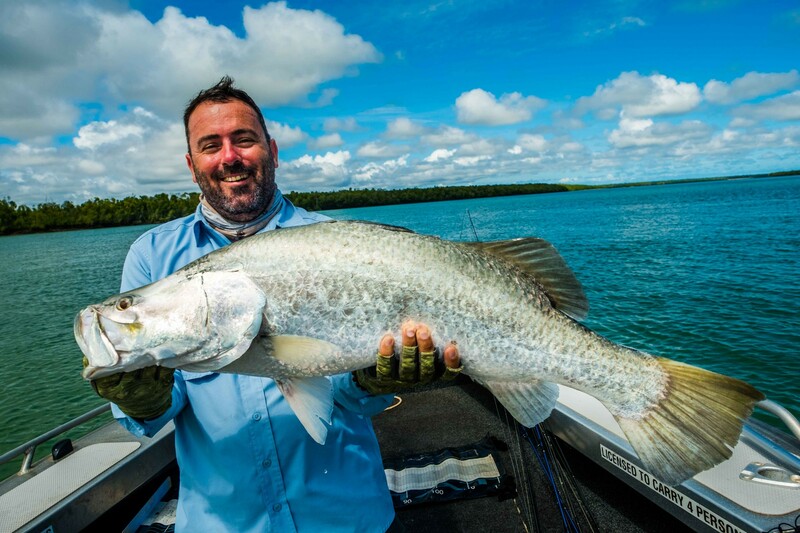 The Glyde, located approx 5km west of the lodge, is fed by the infamous Arafura Swamp, which is a magnificent breeding area for the barramundi. 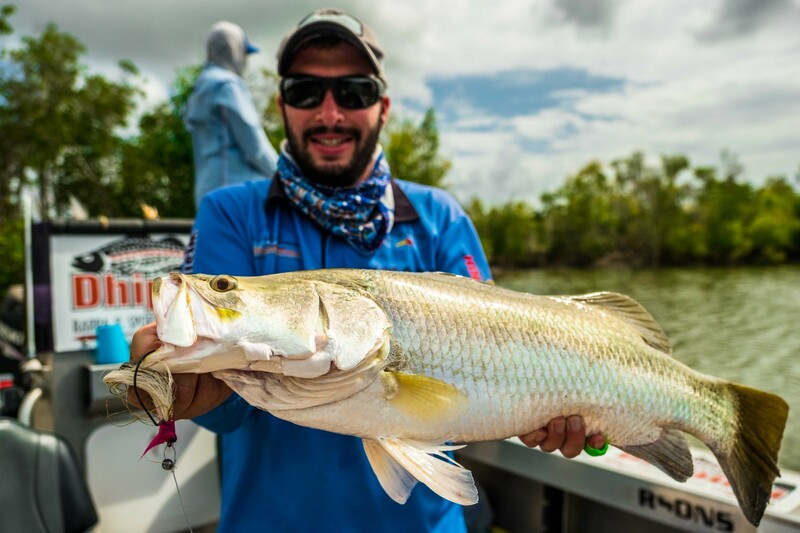 The main target is the elusive barramundi along with threadfin salmon and an abundance of mud crabs in the tributaries. The Woolen, which is located approx 5km to the east of the lodge, is a predominately tidal river. Framed by rocky headlands with the mouth being 90ft deep in areas, it opens up into numerous mangrove and rock bar lined estuaries. 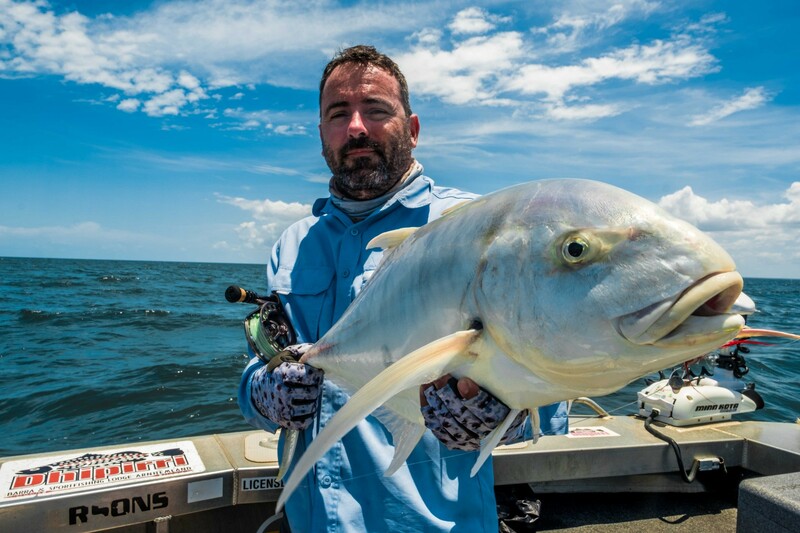 Target species include barramundi, mangrove jacks, around the mouth the pelagic species dominate with giant trevally, queen fish and northern blue tuna. 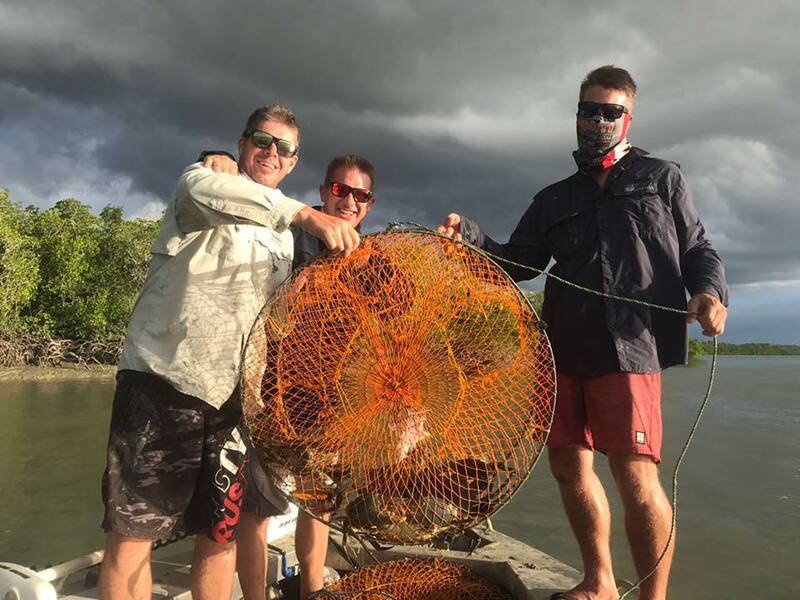 Reef fishing species include golden snapper, coral trout, black jewfish just to name a few… The lodge will be running 4 x 6.2mtr brand new Bar Crusher boats with 150hp Suzuki motors. These boats will fish maximum 3 per boat. They will be in 2D Marine survey which will now fall under the Australian Marine guidelines. 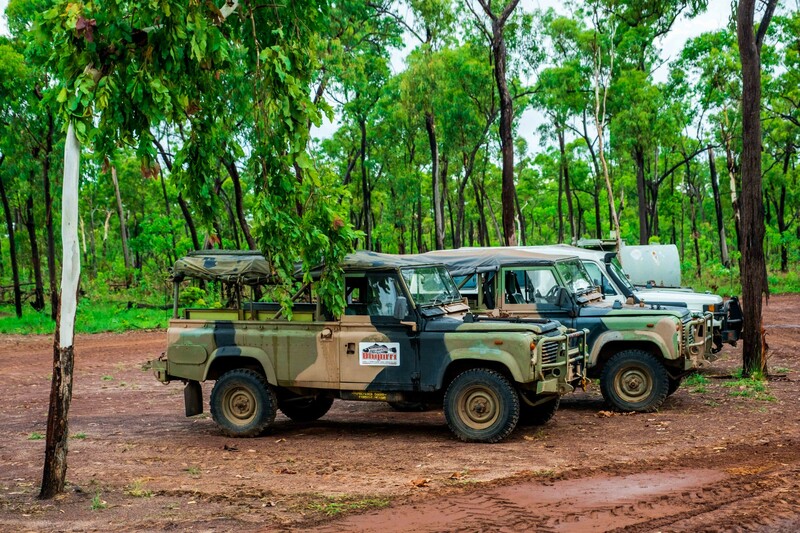 There’s so much more than just Barramundi fishing at Melville Island. 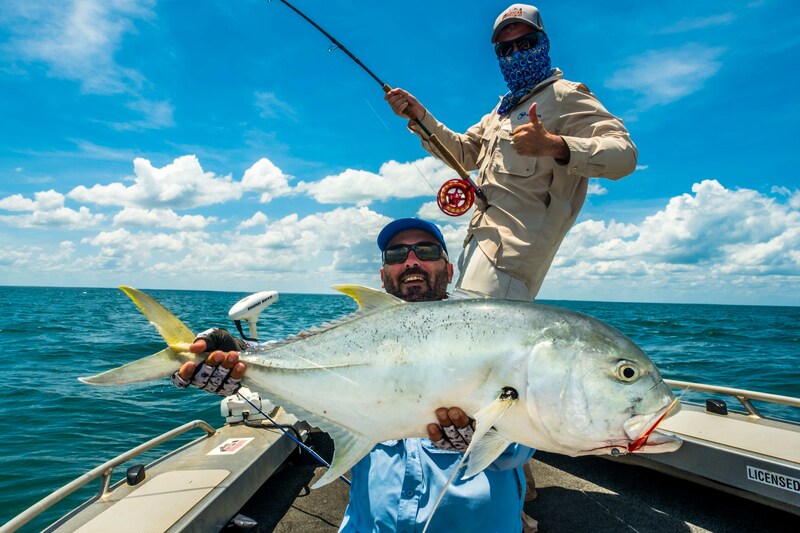 The systems are full of lure and fly crunching Mangrove Jacks, which not only offer exhilarating sport but also look fantastic in photos with those superb canine teeth. 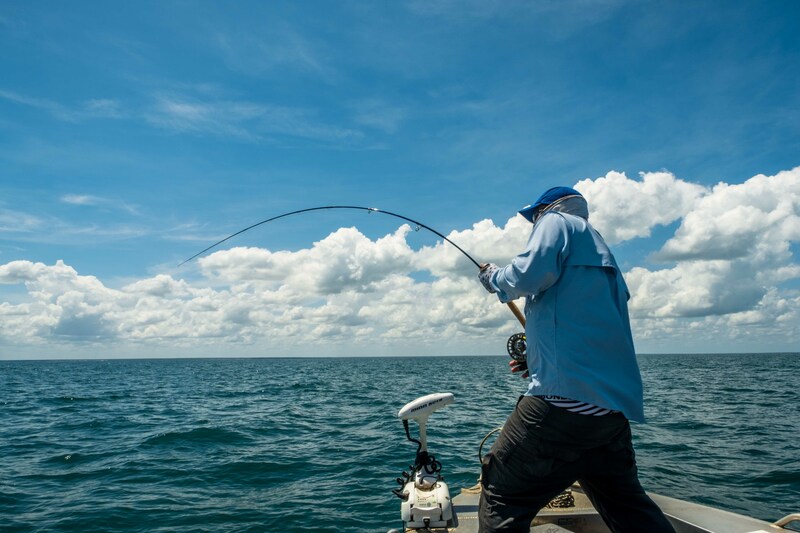 In and around Snake Bay, Shark Bay, and the Johnson and Jessie Rivers you’ll also find plenty of Threadfin, Blue Salmon, Fingermark, Tarpon and Estuary Cod. In the internationally acclaimed Goose Creek, you’ll have the opportunity to target trophy sized prehistoric Saratoga. Once you move offshore, the waters are full of Spanish Mackerel, Golden Snapper, GT’s, Long Tail Tuna, Coral Tout and the Barra of the open sea: Black Jewfish. 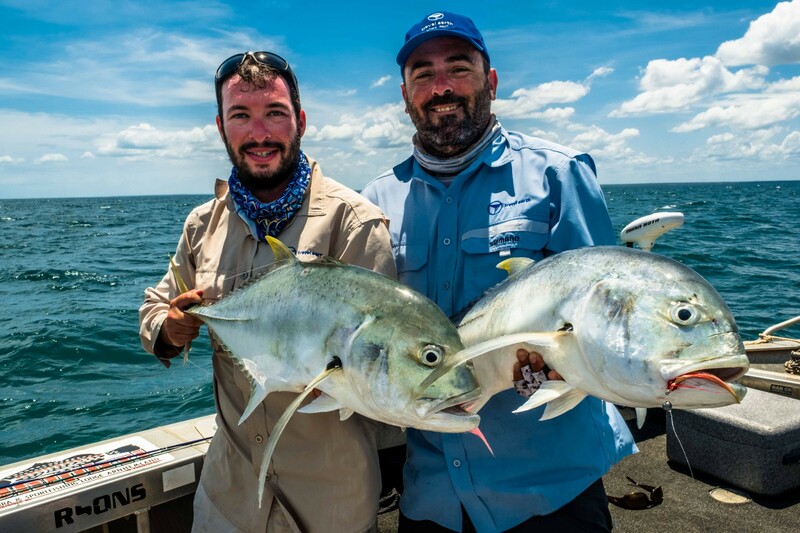 The guides are hard working, highly experienced and love nothing more than to get their clients onto the fish. They are more than happy to advise and assist when it comes to technique, or if you’d prefer, they’ll just get you to the hotspots and let you do the rest! The equipment and fleet are also second to none, consisting of six custom-built 6.6 metre aluminium boats, fitted with 150hp four stroke motors. The young and regularly updated fleet is routinely serviced and all boats have colour sounders, GPS, satellite phone, 2 way radio, first aid kit and full safety equipment. In order to maximise client fishing comfort and safety, it is policy to fish with a maximum of 3 anglers per boat – per fishing guide. In fact, one of the highlights at Melville Island Lodge is the exceptional meals. Each morning you’ll enjoy a range of hearty breakfast choices that includes bacon and eggs, cereal, toast, juice and fresh coffee and tea. During the day, your guide will park your boat in a shaded area of the river and prepare your onboard lunch. When you return in the late afternoon after an exhausting day of fishing, there’s nothing better than taking a nice shower and then sit back, beer in hand, to enjoy the cool breezes across the lodge veranda. Dinner is usually served at about 7.30pm and as you’d expect, the sumptuous meals such as beer battered Barramundi and chilled Mangrove Jack are always well received by guests! 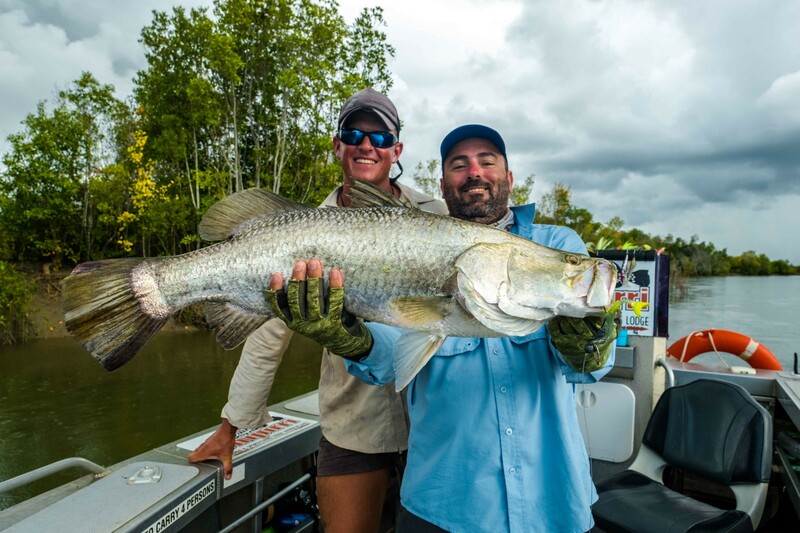 There are two superb locations on Melville Island: the main fishing lodge on the shores of Snake Bay and the ultra-remote Johnson River Barramundi Camp is situated in the picturesque upper reaches of the Johnson River. The main fishing lodge is purpose built and despite its remote location, it has all of the creature comforts you’ll need to make your stay enjoyable, including hot showers, air-conditioned twin and triple share cabins, fax and email access. The lounge area offers magnificent 180-degree river and ocean views and this is where you’ll enjoy breakfast and dinner each day with your fellow fisho’s. Will it or wont it… it did! Either via Darwin or Gove. We work with you to find the best way. 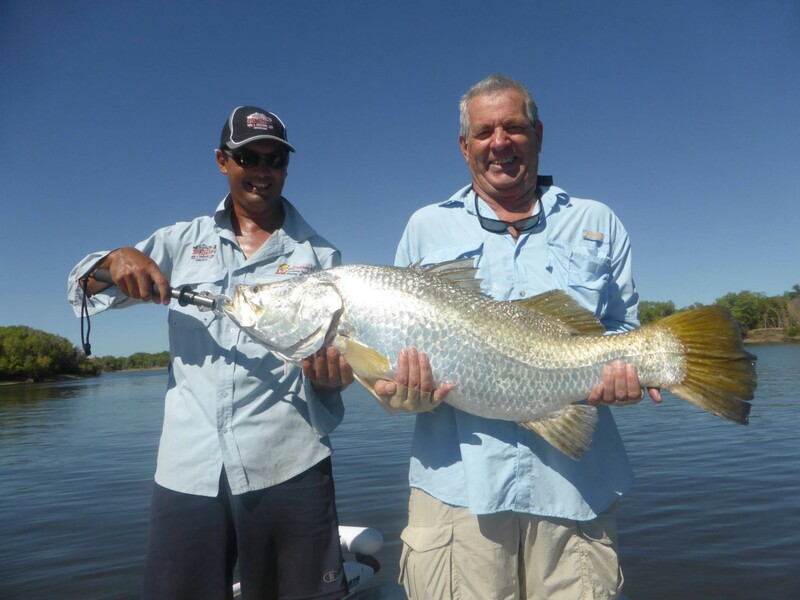 Q. I want to target Barramundi? A. This is the place to target big barra and lots of them. A. Yes and no! Depending on where you are you may have a better phone reception then you get it home… But other days you may not see a signal on your phone at all. If you are sick of your fishing ‘mates’ talking about big fish and red-hot fishing… this is the place for you. It is time for your story.